You know when you hear something you like but don’t know what to say about it? The two Sirona releases of an artist called Re: Gainer are high up there in that category. 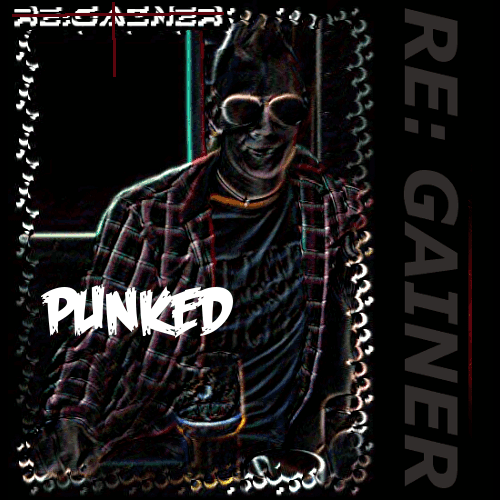 This one here ‘Punked’ is a short assault of catchy and (for punk) very likable tunes that are simply instant underground goodies. Deliciously captured in lo-fi the songs are undeniable catchy and straight to the point material. ‘Two Aces’ is the one that bits off while ‘Ain’t No Such Fun’ sets the trend! re: Gainer makes it sound fun again to kick the barrels of society with a firm middle finger to the system! It’s irresistible not to join the roads of anarchy while singing along with these solid tunes. And if this is not enough, there is also a ‘hidden track’ included! This entry was posted in indie rock, pop, punk and tagged alternative, garage, indie, lo fi, pop, punk, rock. Bookmark the permalink.